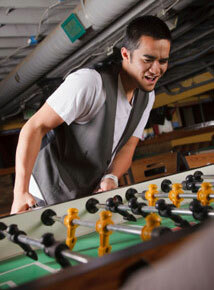 While foosball is commonly played in bars and man caves, it does come with its own set of rules and guidelines. The game is pretty simple and easy to follow. However, it’s this simplicity that can make a fun game turn into a chaotic free for all. To make things a bit more organized, there are a number of guidelines to follow. Set by official foosball organizations and followed by professional players, these guidelines can make the game fair for both players. Whether you’re an experienced champion that dominates every opponent or a casual player that just bought their first foosball table, it’s a good idea to brush up on the rules and guidelines. Knowing how the game works can also make it more fun to play. Understanding the ins and outs of the foosball table and what rules to follow will allow you to make the most out of your game and become the best player possible. When it comes down to it, foosball is very similar to soccer. 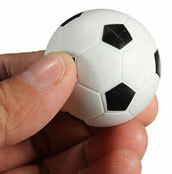 The aim of the game is to get the ball to your opponents goal while keeping it out of yours. This is done by moving and flicking the rods to control your player men. 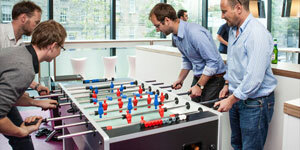 The amount of men per rod depends on the design of the foosball table, but it generally consists of a bar with 5 men in the middle followed by a bar of three. Your dexterity in handling the rods and speed in which you react can ultimately determine how you play. Despite its simplicity, the game requires a lot of skill to master. Like any other game, foosball has a ton of intricate rules. However, if you’re simply playing a round of games with a few friends, you don’t necessarily need to know every rule by memory. Though, it is a good idea to have some rules to keep things orderly. 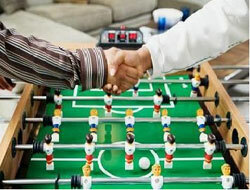 Here are a few basic rules that every player should follow when playing foosball. 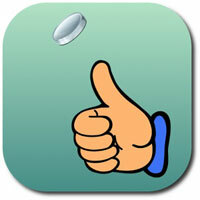 A simple flip of the coin is what is used to decide which player serves the ball first. After that first serve, the ball goes to whichever player scored last. When a goal is made, the player who scored gets to serve the next ball. It should also be noted that the ball must touch a man before getting into the goal to be considered legal. This helps keep things fair from uneven tables or outside factors like wind. This is an often overlooked rule by amateur players. By official guidelines, spinning is against the rules. Spinning refers to the player spinning the rod completely without hitting the ball at all. If it does hit the ball, the move is legal. This deters constant rod spinning throughout the game. This rule is a bit more difficult to follow, as it can be entirely subjective based on the player’s actions. Jarring refers to the act of slamming the rod against the foosball table’s walls. A forceful slam is often used by players to shake a ball loose from the opponent or temporarily distract them. It is completely against the rules. However, this rule is a bit hazy because it isn’t illegal to slam the rod against the wall when playing defensively. Dead balls occur every so often on specific spots on the table. When a ball is out of reach from both players, it is considered dead. The ball then goes to the last player who scored. The player should pick it up and serve again. This rule does not apply if the ball goes dead on the defensive side of the table after the bar with 2 men on it. If it does occur here, the defensive player must move the ball so that it can be played. With this rule in place, players can’t purposefully cause dead balls for their advantage. 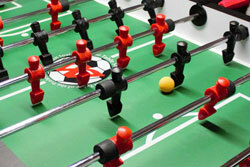 While a foosball table is designed to keep the ball in, it can jump out during an intense game. If the ball comes off the table area at all, it is deemed “out of play” and must be served again by the last scoring player. Even if the ball hits the top rail and returns, it must be served again. 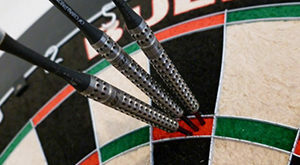 This rule is a bit more complex and is used regularly during professional games and tournaments. In a casual game, it makes the game fairer and challenging for both players. This rule states that you must pass the ball from the middle bar with 5 men to the next bar with 3 men within 10 seconds of serving the ball. Furthermore, the ball can’t be stopped directly on the 5 bar. It must keep moving and touch at least 2 men on the 5 bar before moving on to the 3 bar. It can also only touch the wall twice in a row. After that first serve, you have 15 seconds to pass the ball from the 5 bar to the 3. With those rules in mind, it’s time to improve your playing. With just a few simple tips, you can dramatically change the way you play. While it is a fun and simple game, these tried and true tips will allow you to beat anyone. One of the biggest mistake novice players make is spinning the rods. Many spin because it seemingly improves your chances of hitting the ball. However, it simply causes chaos and removes all skill from the game, hence why it’s against the rules. Instead, you should flick your wrist. A loose grip of the handles gives you better control. You shouldn’t wrap your hand around the entire handle, but have light contact with it. When you’ve lined your shot and are ready to make it, simply throw your wrist down. Do this as hard as you can, and you’ll have a lot of power. Your hand should continue to move down until it is stopped by your wrist hitting the handle. Most players instinctively hit the ball with their men straight on, resulting in a powerful straight shot towards the goal. While effective, it’s not the only option. By hitting the ball with one side of the men, you can angle the shot towards the goal. You can also use the walls to bounce the ball and find complex openings. With those basic rules and tips in mind, you can start dominating the competition. It doesn’t take much to start playing. However, a bit of knowledge can take your game from average to amazing, regardless of whether you are playing competitively or with a few friends.